Seeds of Small Flowered Willowherb (Epilobium parviflorum) out of my greenhouse too. Pretty nice there Gerd. Interesting to note how the seeds are arranged for dispersal. That is an interesting image Gerd. Intricate order and detail, great perspective. That's a very nice image... clean background too. They are just waiting in line for a breeze... Beautiful. Gerd, what optics did you use for this shot? Craig, i used an Olympus E410 with Olympus 50mm Macro for this shot. 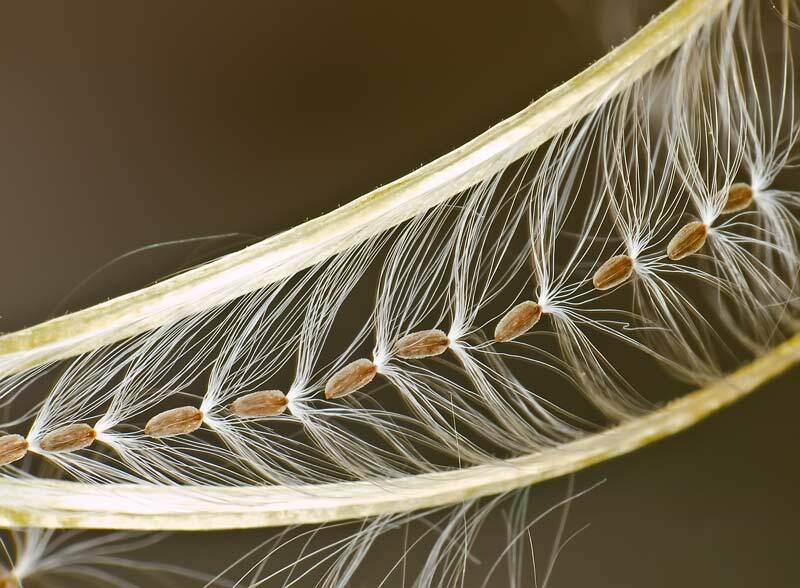 A further thought: This is one of the few cases when a flat-field macro lens pays for its specification-related price. That's awesome - nature's aesthetics are matchless. Gerd, that's a really nice shot! I've never heard of this particular species although we have what's know here as Rose Bay willow-herb, which I assume is related, it's quite a large plant and a bit of a weed. I'll take a closer look next time I see one! Out of interest have you got the little 35mm macro lens as well? I'd love to try out the 50/2 but I'm stuck with the 35/3.5 at the moment. Having said that it's a stunning little lens for the money and it does 1:1 out of the box. Thanks, Laurie, i tested the 35 lens some time ago. A friend of mine uses this one. The 50mm one doesn't have the same magnification - so you need bigger subjects. I think the box says 1:2 on it, but they say that due to the sensor size, that's really 1:1 in old Slr speak. The 35mm says 1:1 on the box but due to sensor size, it's supposed to be 2:1. Since I did no macro work with film slr, I don't have any images to compare. When I got the 50mm the camera shop wanted to know if I'd like to trade in the 35mm as they wondered if I'd have a use for it. It is a great lens and I use it for the smaller critters and other subjects. The working distance doesn't really bother me, as it's down to field craft and patience - and knowing your subject. I really like the 50mm because of the F2 - which is fantastic at blurring the backround - but again, it's down to patience and the ability not to breathe, move etc. Just to add, my e510 doesn't do too badly at higher ISOs, but e500 was quite bad at 400 or higher. Congratulations on this photo being selected for the front page! It was really well-crafted and composed. The photo would look good as an enlarged print for display.